'Tweens are close in age to the gradeschool stage, but developmentally, they are morphing into little little teenagers. Paint and bed linens are an inexpensive way to allow tweens to customize their bedrooms. So bedrooms for tweens should build in transitional areas to make their bedroom work. Tweens have fewer traditional toys. They fall from favor and are replaced by smaller, pricier, more technological toys. And now the kids need places to put these things. It's time to tweak the desk setup, get rid of the tchotchkes of childhood, and clear the shelves for adolescence. 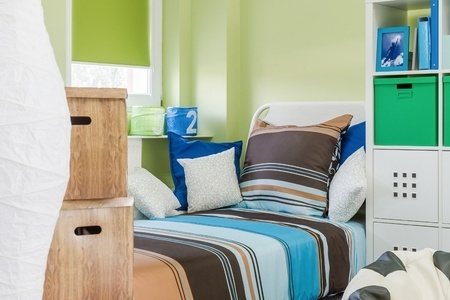 These bedroom ideas for tweens can help get that transition going smoothly. This is the stage of sports, hobbies, and lessons. Now the stuff in his room is more focused, but you'll still need to make room to store dance stuff, volleyball gear, soccer equipment, etc. 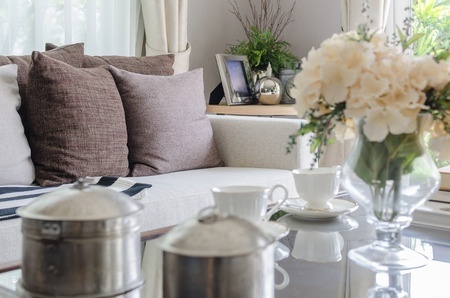 Naturally you'll also need a place to display ribbons, trophies, and certificates. Bulletin boards are rarely big enough to house all the awards that come with today's sports teams. The tween years are the golden age of sleepovers. This is one reason why the bedroom is oh-so-very important for tweens. Don't fight it, make it less painful for both them and you. If your tween has a single bed, now's the time to add that under bed rolling trundle. Or just make sure there's enough floor area for a pair of sleeping bags. Fashion and clothes have suddenly hit this group's radar screen, making a full-length mirror (hung behind a door or covering sliding closet doors) a must. Meaning you provide drawers, shelves, shoe rack, and a hanging clothes rod or two, and your tween can take it from there. She'll quite possibly insist on taking it from there. Let her, with limits. Paint and linens are comparatively inexpensive. My philosophy is that tweens can decorate in any way they want, as long as it doesn't permanently damage the room and is not offensive. But I put my foot down when my tween began her campaign for a new bed. The bunk bed, it seems, is suddenly so babyish. A canopy bed, queen-size, please, suddenly topped her most-wanted list. Which is where it will stay for the foreseeable future. I just say no to expensive makeovers at this stage of the parenting game. In a couple of years, she'll again be in the market to reinvent her private chambers. Take a deep breath here. She'll be: A teenager.